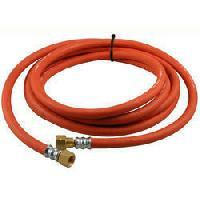 The LPG Hose - Type 4 that we manufacture are used in motor vehicles in which liquefied petroleum gas (LPG) is installed. These LPG hose are made from high grade synthetic rubber tube, yarn and incorporate with electrically bond wire and perforated outer cover resistant to ozone. 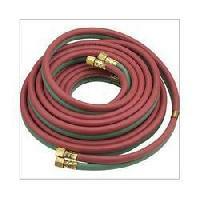 Common applications extruded low pressure hose suitable for the transfer of lpg gas for kitchen appliances. 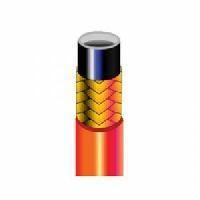 extruded construction tube black smooth synthetic rubber reinforcement braided with high strength ss wire(stainless steel). cover orangegreen smooth synthetic rubber, abrasion and weather resistant.